August 30 marked fifty years that the greatest band in popular music history played their arguably most popular song to a live audience of millions on the David Frost show. Hey Jude, is possibly the song most associated today with the Beatles, although to people who lived through the sixties and seventies, the range and depth of the music created by these four musicians from Liverpool was so vast that a ‘favourite’ or ‘best’ song is hard to determine or agree upon. The range of emotions I feel whenever I hear or watch the Beatles is hard to describe — even after hearing every song they wrote countless times. Because of my age, I only caught the very end of the Beatles revolution that swept across most of the world and brought in its wake a panoply of lesser bands, mostly from Britain. 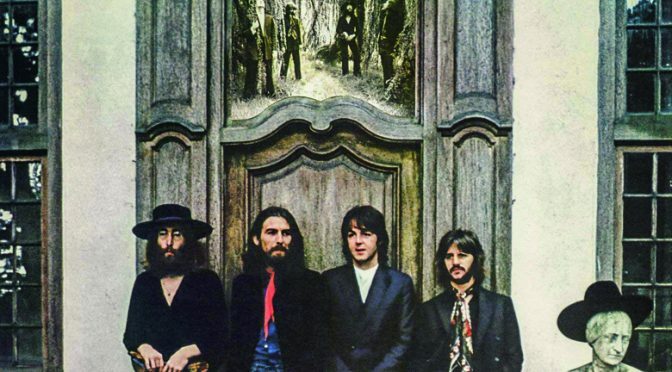 Growing up in the Bombay of the late sixties and early seventies, I remember seeing older schoolmates showing off by swapping Abbey Road for Revolver and Rubber Soul for the White Album and wondered what all the fuss was about. My neighbour introduced me to Sergeant Pepper on a cassette tape played on a boxy recorder. This was state of the art then and would never pass a sound fidelity test today. Sgt. Pepper sounded interesting in a way but oddly enough my friend never managed to get us past the third track — ITALS Lucy in the Sky with Diamonds. For some obscure reason that I could not fathom, Maxwell’s Silver Hammer — a song about a psychopathic medical student — was a favourite on All India Radio’s 10 pm Saturday Date request show. And though sideburns and equally ghastly bell-bottoms were slowly creeping in, nobody I knew dressed or cut their hair like the Beatles. I don’t believe that the full impact of the Beatles revolution was ever felt in India, outside a few gramophones in a few drawing rooms and a certain ashram in Rishikesh. But I was old enough in the late seventies, as a student in the United States, to experience the exhilaration caused by the second Beatles wave that hit America then. This was when reunion rumours were rife and local FM radio stations in small and large towns across the country played non-stop Beatles music from Friday evening to Sunday night. Somehow, no song was ever repeated over those weekends. There were no screaming girls in this wave. Just an absolute and deep appreciation of the depth and breadth of the legacy left by the Fab Four, several years after they broke up. There was excitement in the air on those Beatles weekends. The music would only be interrupted for hurried meals to keep us going and groups of us would sit up all night around tinny-sounding plastic radios, that sounded much like the cassette recorder of my Bombay days. But there was a difference now. We heard every song the stations played in the Beatles vast repertoire of 236 original compositions as well as a few brilliantly played covers, like Chuck Berry’s Rock and Roll Music and we heard every word they sang and uttered in the short interviews that were interspersed with the music. I finally got to listen to A Day in the Life and admired the collaborative genius of the Lennon-McCartney moniker. We attempted to figure out John Lennon’s meaning of life in Tomorrow Never Knows. We commiserated with lonely people everywhere in Eleanor Rigby. We marvelled at the lyrics, we were floored by their harmonisation and then there was the matchless music and the melodies. And this was during a banner year for music. The release of Bohemian Rhapsody by Queen, Paul McCartney & Wings on tour, Peter Frampton, Elton John and Kiki Dee and a multitude of others were mere distractions, a sideshow. The so-called millennials of today are largely ignorant about the enormous societal impact of the Beatles on a generation that includes, in most cases, their parents. The Beatles era, surprisingly short at eight years, consisted of music that was largely wholesome and entertaining. Yet they went beyond what people considered pop music as they invented new genres and novel paradigms with each new album they released, once they stopped touring because they couldn’t hear themselves singing amidst all the screaming of their fans. It is difficult to imagine what popular music would have been like if the Beatles hadn’t existed. A lot of other bands that emerged in their wake, but remained in the shadow of the Beatles, might just not have made it. It was hard to accept the end of the Beatles when it happened. Apart from the astonishing music they fashioned, they gave the world so much more, something no other band has been able to replicate since and probably never will. In a post-war, black and white, analogue age they brought colour and fresh-faced wit to audiences the world over. It wasn’t just teenyboppers who were swept off their feet by the Beatles; even stodgy over-forties reluctantly admitted to liking their music. But the end was surely nigh. The competing personalities of John and Paul, a rising George and the advent of a superfluous ‘fifth’ Beatle in Yoko Ono — she was here, there and everywhere – made the finish inevitable. And it did. And all we are left with is memories. And some wonderful, wonderful music. Previous PostWhy I don’t wish to sit next to youNext PostDoes the horror show Ghoul live up to the hype?